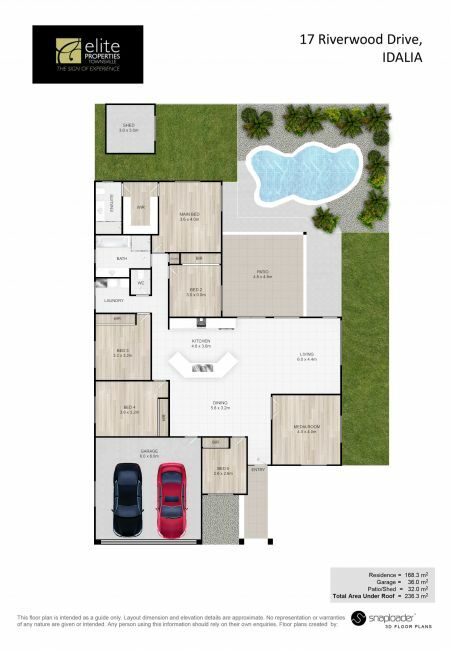 ”A RARE FIND”...The ease of family living & entertaining is set to impress.. Central expansive kitchen highlighting stone benchtops overlooks the open plan living ,yard,pool & outdoor entertainment area. Separate media/rumpus/guestroom. Large master featuring a large WIR/ensuite. Fans in both bathrooms..what a great idea girls....Before you compromise on your wish list visit Riverwood today.. The family will love it here..
5 Bedroom house in a beautiful location—with a great sized yard for children, as well as a pool. Open plan living overlooks yard and pool area; location-close to river, walkways and parkland. Ease of entertaining: open plan kitchen/family leading onto covered patio/pool/yard; views to Castle Hill. Location! Great neighbourhood! Quiet and close to city! Five built-in bedrooms-large master and WIR & Ensuite.